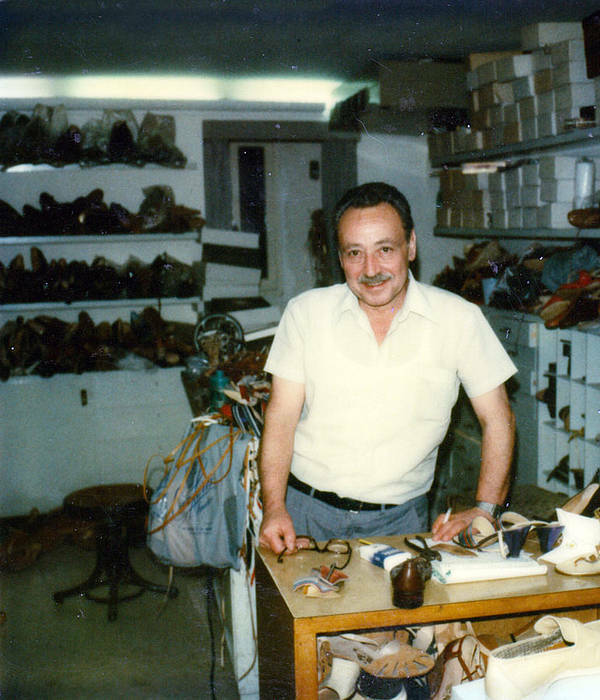 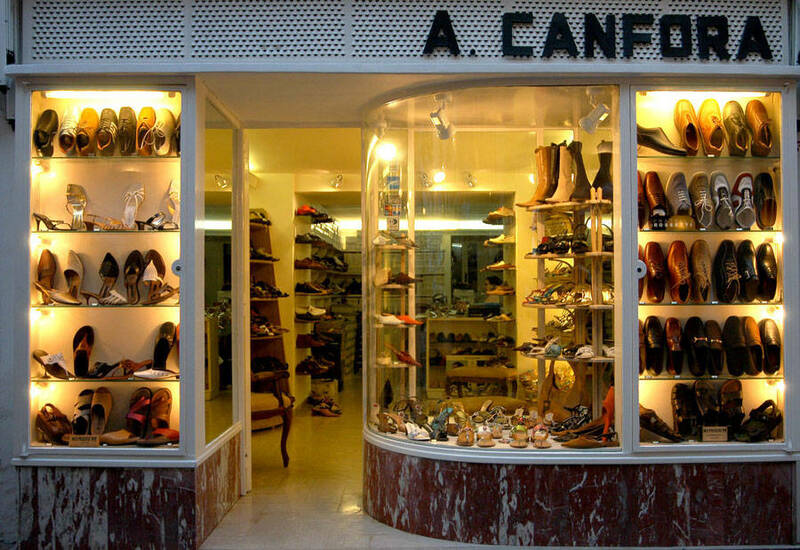 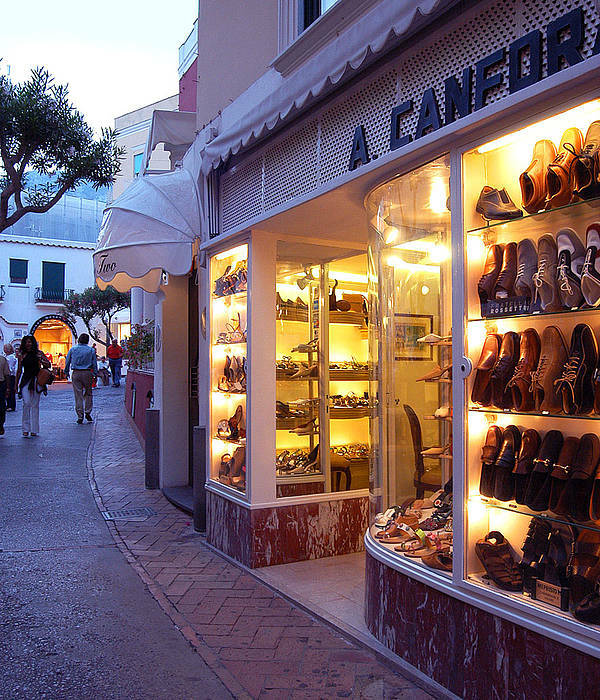 The boutique Canfora was founded in 1946 by Amedeo, who created an incredible array of sandals, in hundreds of styles and an infinity of colours. 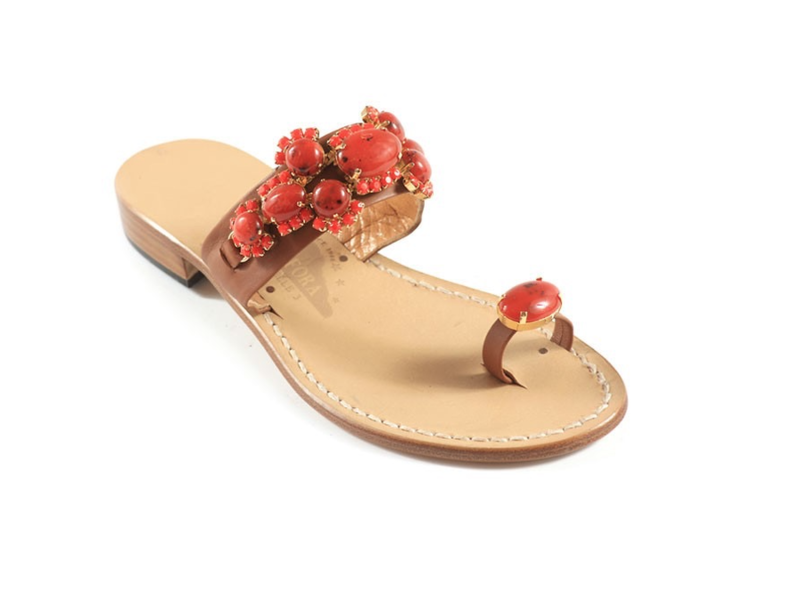 They are all handmade in genuine leather and wth fabulous decorations using beading, artificial flowers, and other accessories. 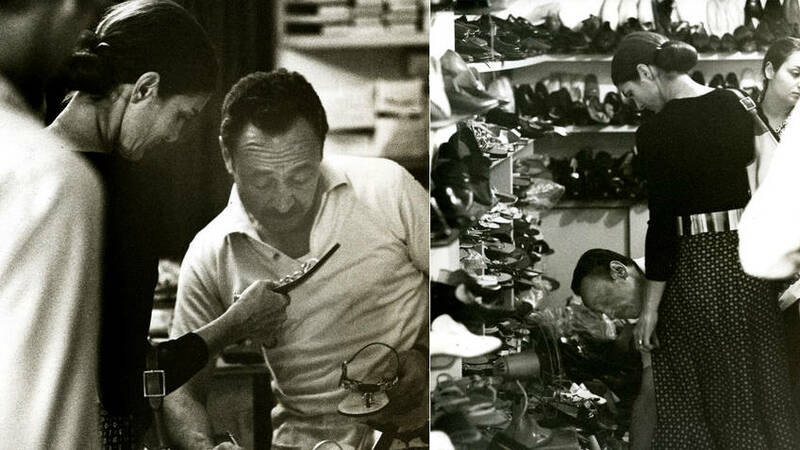 Today, Amedeo's daughters Angela and Rita and their families continue the tradition, adding a touch of originality to every annual collection. 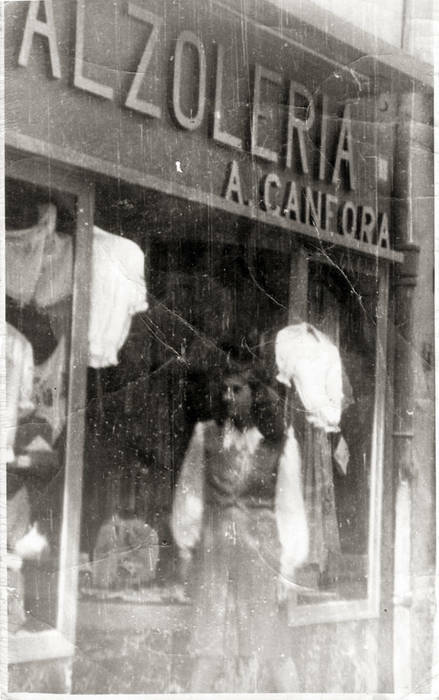 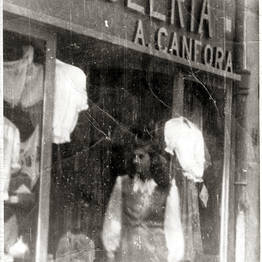 Many celebrities have been fans of Canfora's creations, among these the unforgettable Jacqueline Kennedy Onassis. 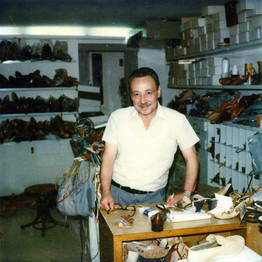 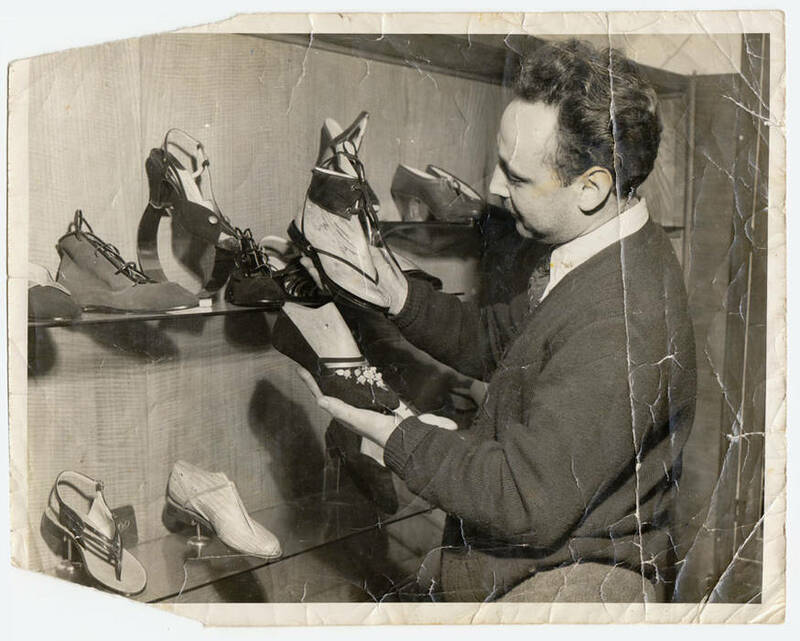 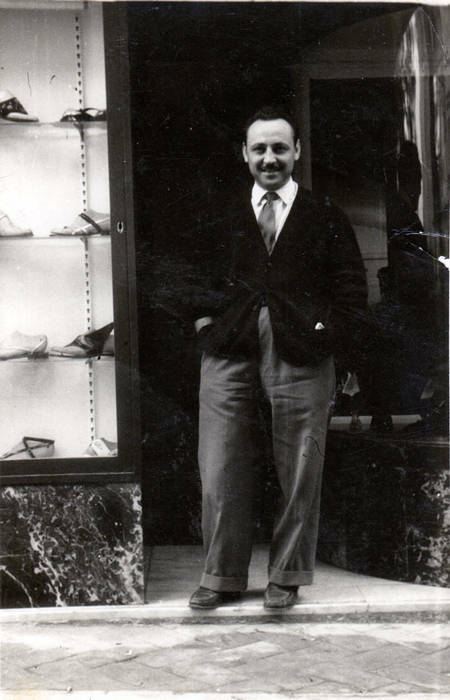 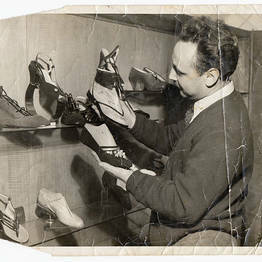 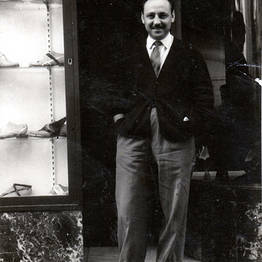 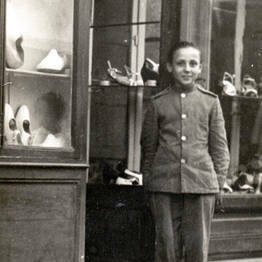 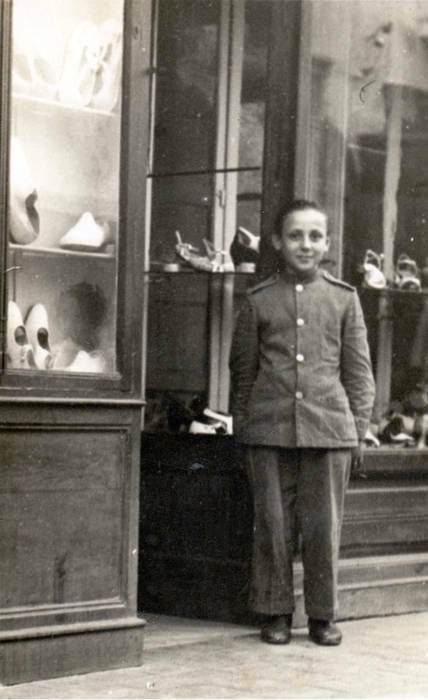 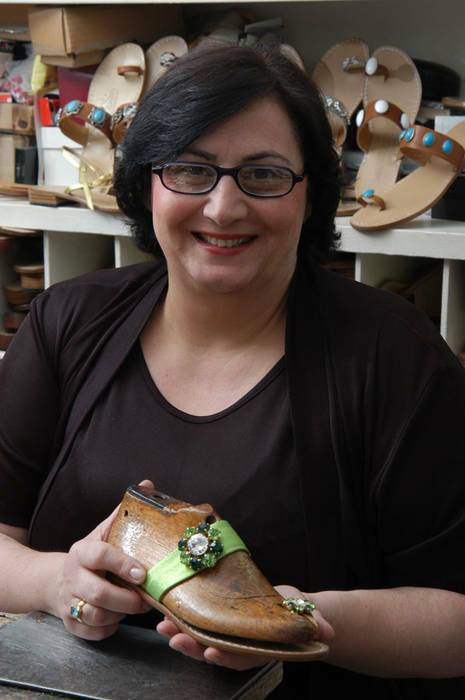 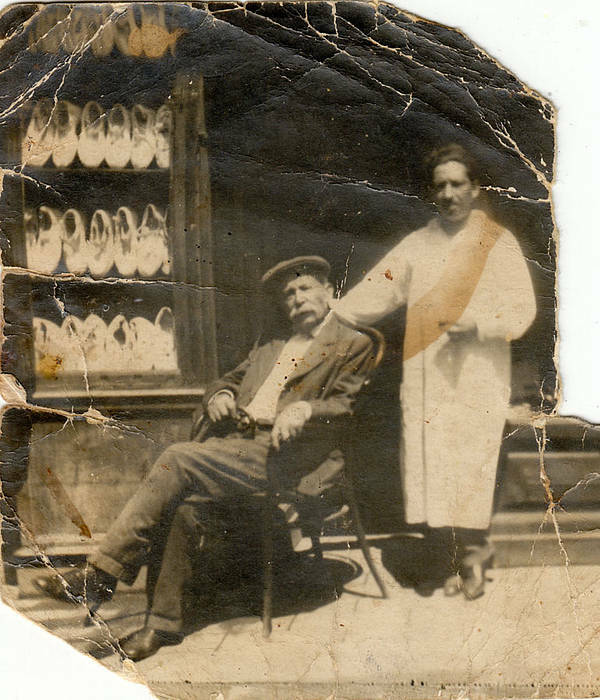 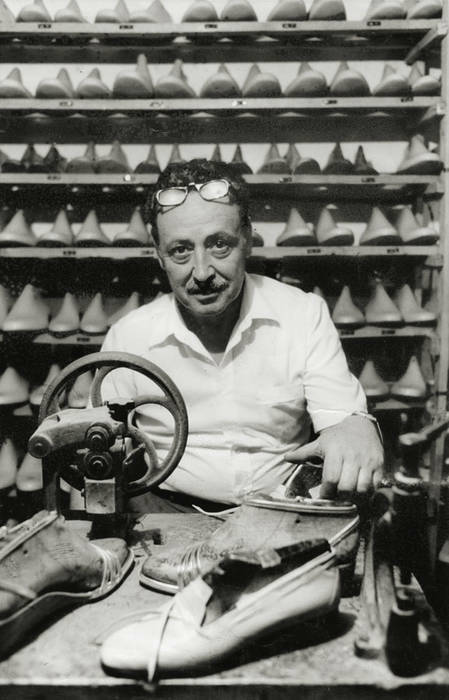 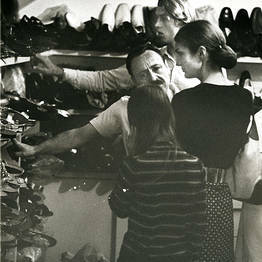 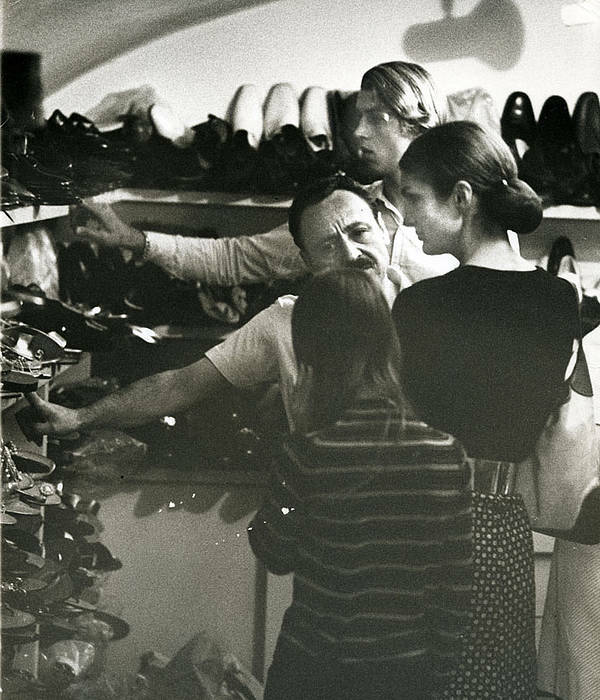 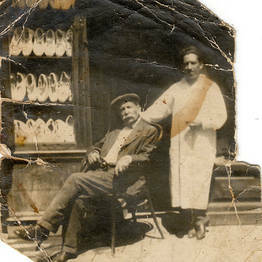 More than once, late at night Amedeo opened the shop just for the first lady, letting her choose her favourite sandals; he made created a style exclusively for her called "K". 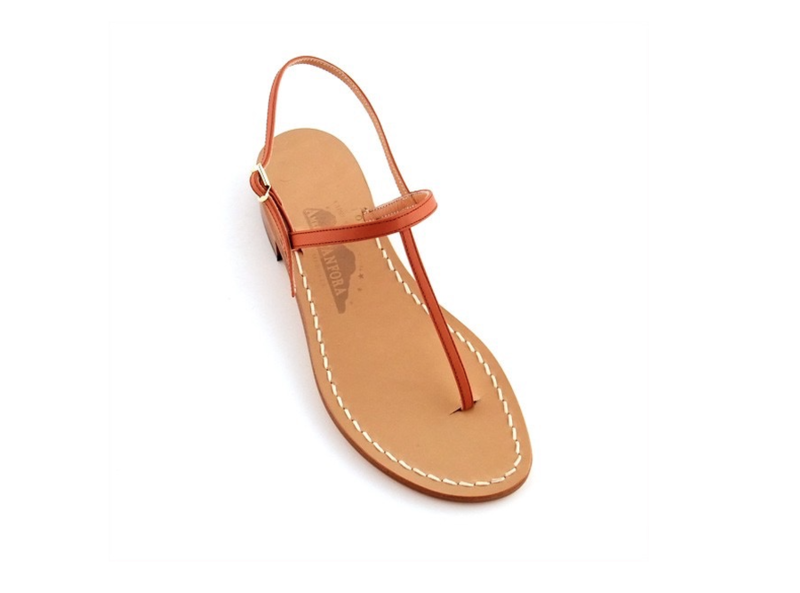 Minimal chic: three thin strips of leather, in the color of your choice. 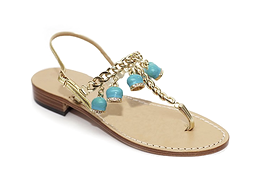 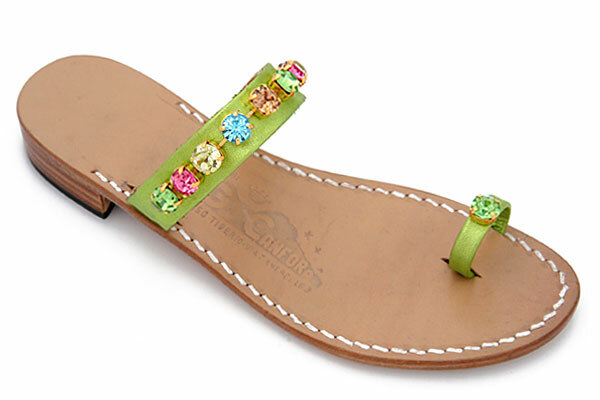 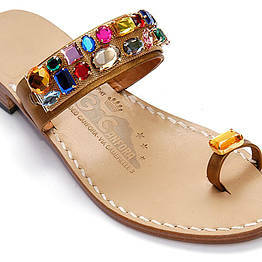 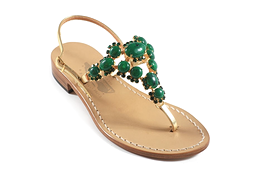 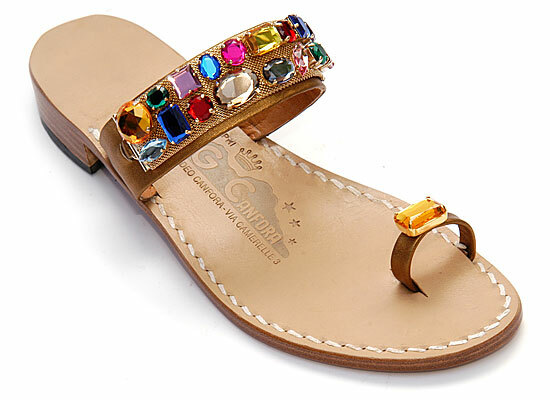 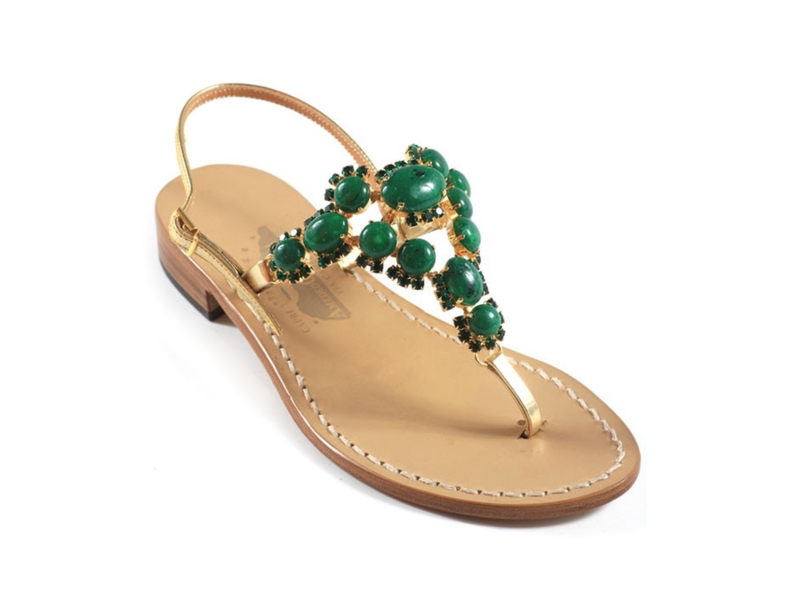 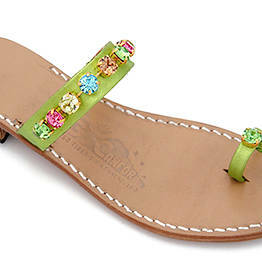 A thong sandal with gold straps and opaque stones. 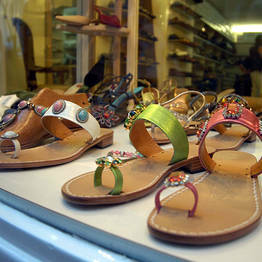 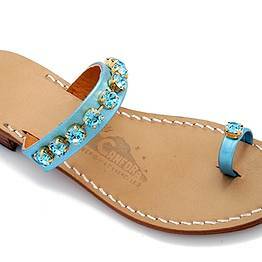 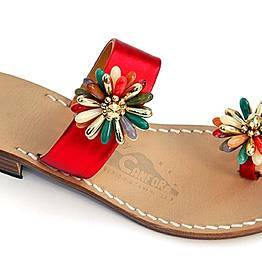 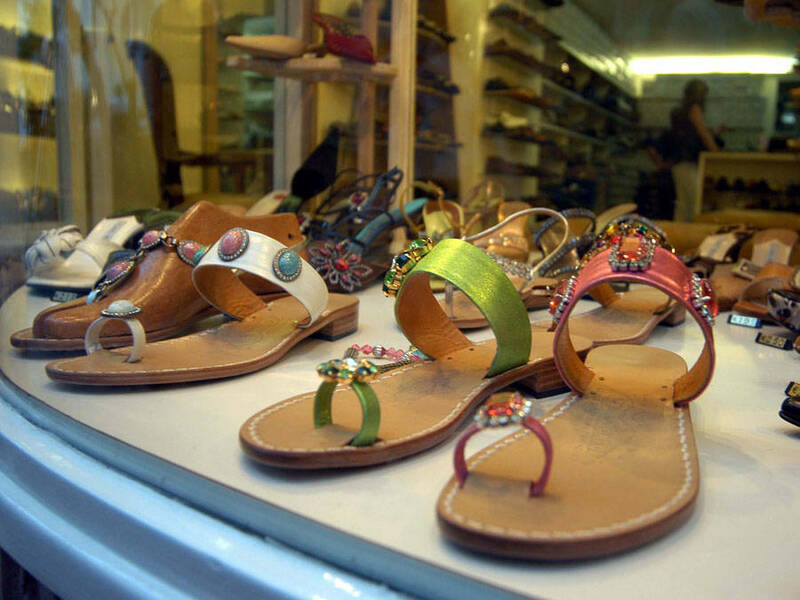 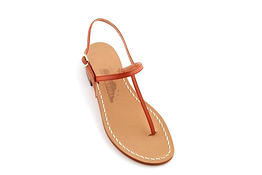 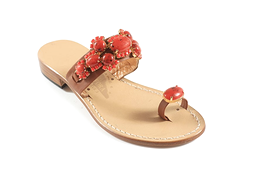 In these sandals the little bell, one of the symbols of Capri. 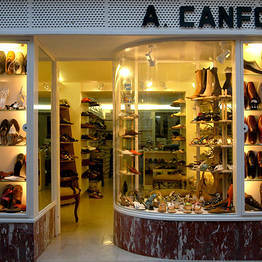 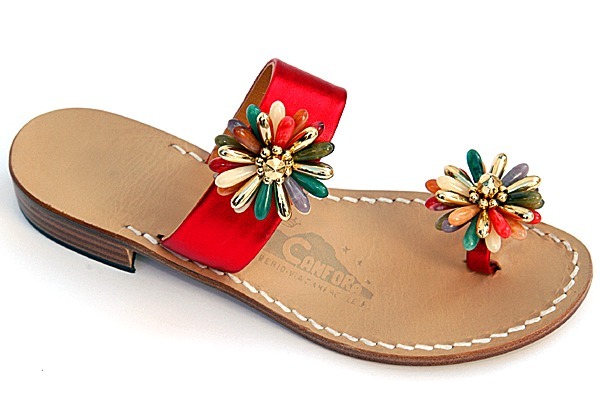 "Love my Canfora sandals! 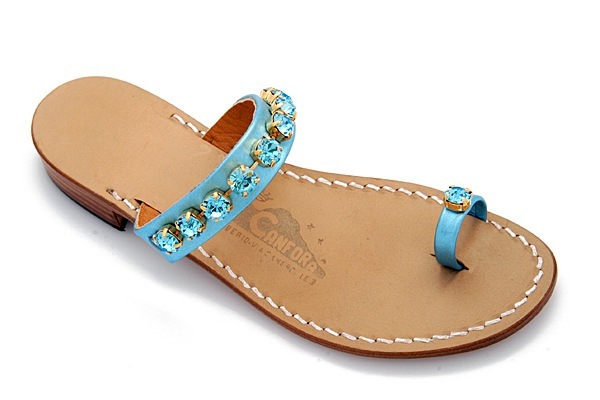 Worth every penny!" 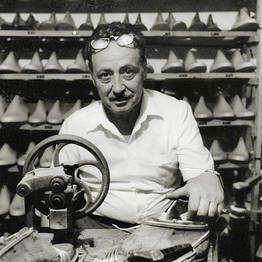 Another year, another pair or two !